Lake Como is one of the biggest natural tourist attractions in Italy. With incredible landscapes and clean freshwater surrounded by quaint shore-side towns, the lake should be on everyone’s bucket list. 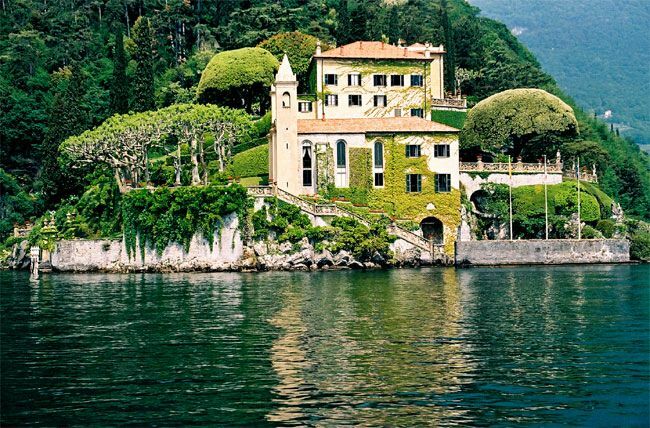 Whether you’re here to stay at luxurious vacation houses in lake como or visit as part of a day trip, check out these travel hacks to help you get the most out of your time at one of Italy’s most famous lakes. Como Town, despite the name of the lake, sits at the southern tip of the water. From here, it can be challenging to reach the other towns and villages. Instead, if you want to explore more than one place at Lake Como, it might be better to choose somewhere more central. Most will have accommodation, restaurants and attractive places to explore. While it might seem romantic to take the ferries around the lake from one shore-side town to the next, it’s highly impractical. Many are slow and it takes a couple of hours to get between points. This isn’t a concern if you have all the time in the world and can sit back and marvel at the surroundings. But most of us only have a limited amount of time at Como and waiting two hours to get to the next spot can be frustrating. Perhaps you should rent a car and drive if you want to get the most out of the trip. But if you do, take note that you can’t park in most of the town centres. If the journey takes at least two hours to get from Como to the middle of the lake, you need to be aware of the timetables. Some boats depart every 30 minutes or so while others might be one or two hours. You should check the ferry schedule online beforehand if it’s possible or find out as soon as you arrive in Como. The last thing you want is to find that you’re stranded while waiting for the next one to come, especially if you’re visiting on a day trip. But the biggest advantage of the ferry is that it gives you a chance to get onto the water for a fraction of the cost of a boat or cruise. If you sit on the top deck, you can enjoy the viewsas the scenery passes by in the same way as you would on a yacht or other vessel. The ferry might not take you to the best spots, but it does make a much more affordable way to see the lake. It’s no secret that Lake Como gets most of its annual tourists during the summer. The weather is warmer, the lake temperature is more pleasant, and you’re more likely to have a dry day. But the lake also has excellent weather all throughout the year. It rarely dips below 2°C in the winter,and the weather tends to be relatively dry compared to other destinations. If you visit during the winter, expect to find few tourists and more affordable prices. Contrary to popular belief, Lake Como isn’t just a hotspot for tourism during the summer. Who doesn’t want to visit such an attractive lake and go for a dip? After all, the freshwater is clean,andyou’re surrounded by incredible views and landscapes. People can and do swim in the lake, but it’s not advisable to just dive in anywhere. Apart from the wildlife and ducks in the water, some of the areas aren’texactly clean. Instead, it might be advisable to ask someone where to swim. That way you won’t feel disgusted by the cleanliness of the water. Hills and valleys surround Lake Como. And tourists who want to get out and experience the nature can follow any number of trails. Some last less than an hour and go to through the villages and towns in the hills. Others will take you around the valleys on more challenging routes. If the weather is pleasant and you want to experience the best of Lake Como’s landscapes and environments, be sure to check out some of the trails. Some of the restaurants at Lake Como follow a more relaxed timetable with shorter opening hours compared to the likes of Milan. If you’re looking for a late lunch or early dinner, you might have a few problems finding somewhere that’s open. Most places will have short opening hours. It’s a good idea to find out before you head to lunch and plan your day around that rather than just turning up and hoping for the best. If the weather is clear, get over to the funicular and ride it to the village at the top. 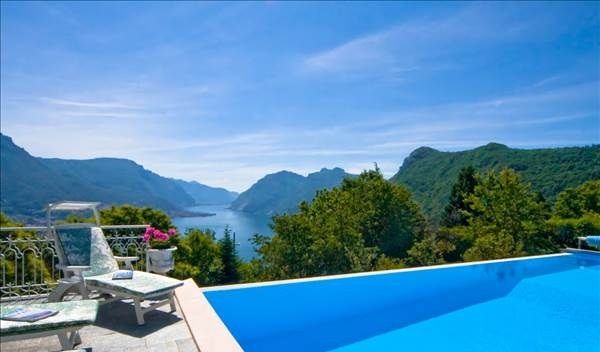 When the weather is clear, you’ll have incredible panoramic views from the top of the mountains over Lake Como below. It only costs a few Euros to ride up. The views from here are some of the best from Como Town. Now that you know the essentials for how to have a great time, the only thing left to do is get on the plane and visit. Just remember to rent a car to explore the lake, know the ferry schedules, take advantage of the hiking and ride the funicular to get the best views on a cloudless day.